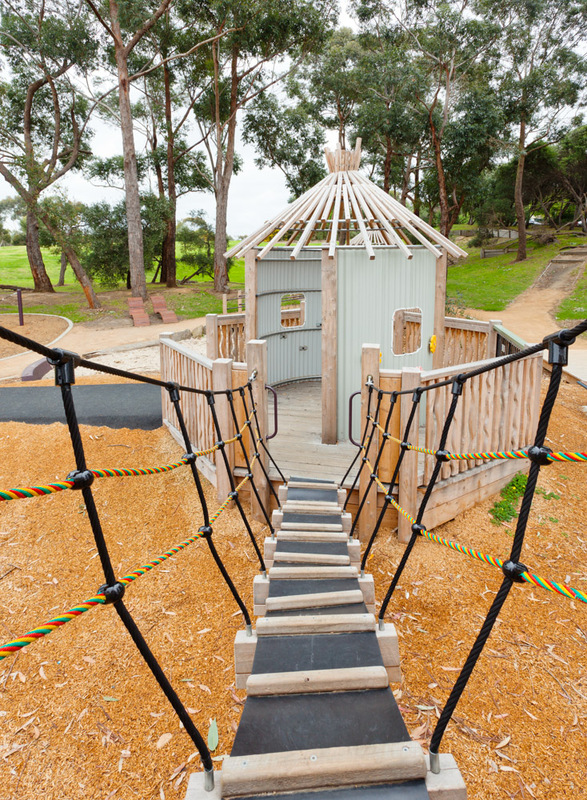 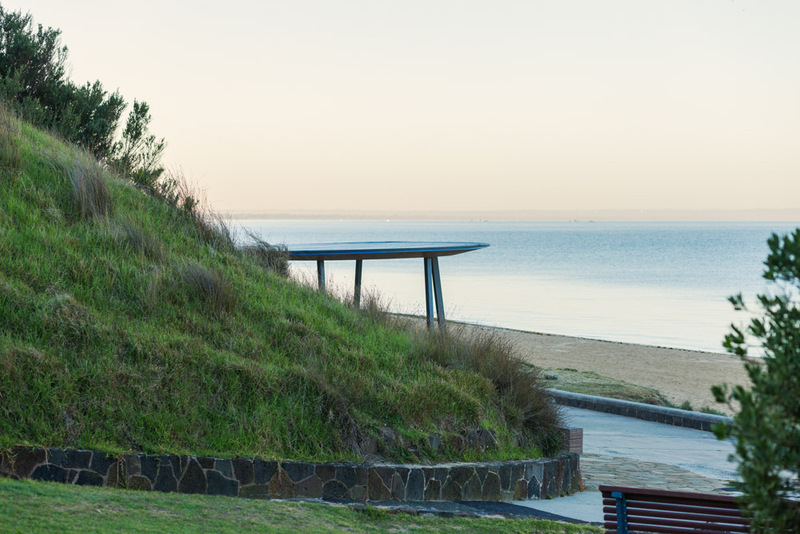 The foreshore reserve at Mentone Beach is in part characterised by the bluestone and concrete capped seawall, typical of the walls built along Port Phillip Bay’s beaches in the 1930s to prevent dune and cliff erosion. 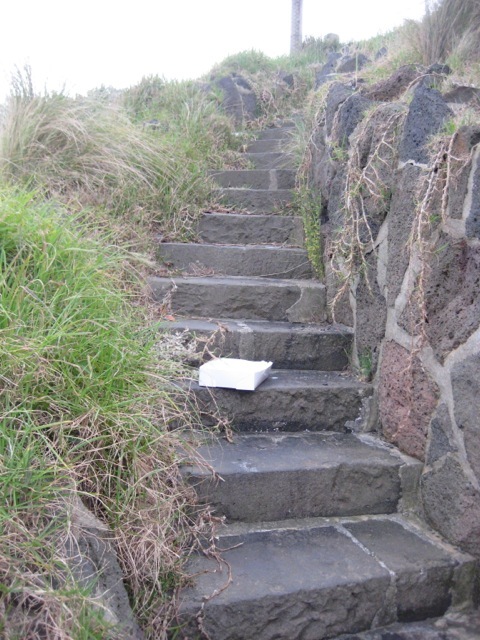 At Mentone stone walls also line the cliff paths and in certain places stone stairways cut down through the cliff. 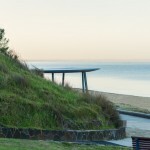 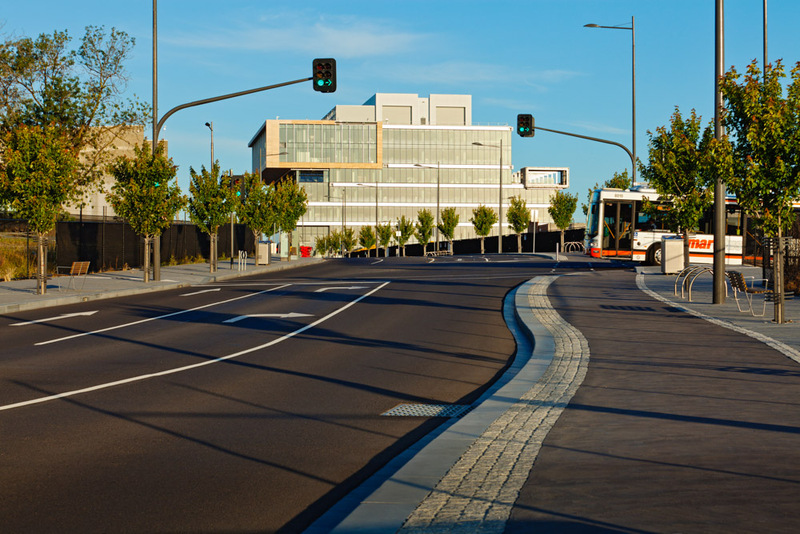 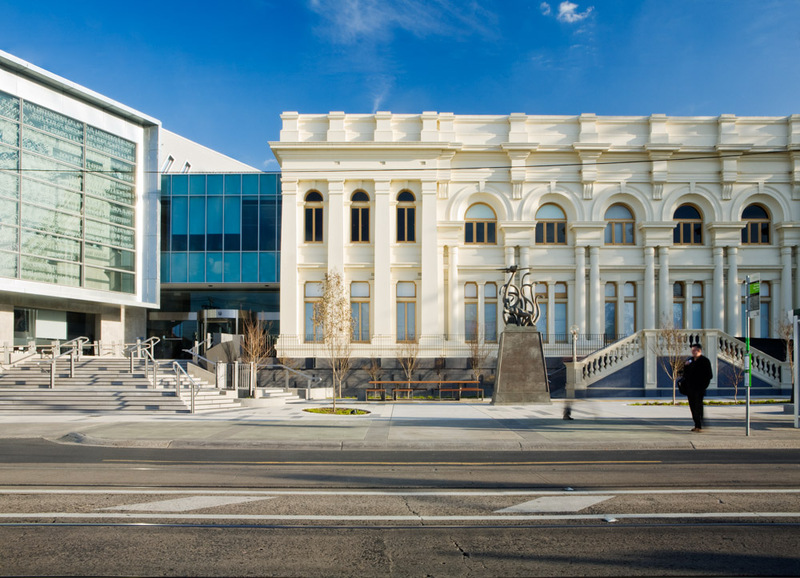 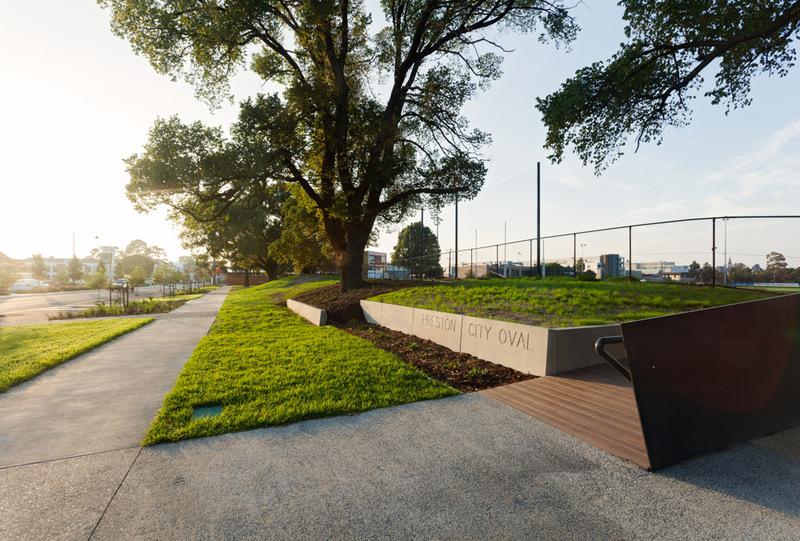 One such stairway leads down from the former site of the Mentone Life Saving to a small serpentine shaped terrace adjacent to the promenade. 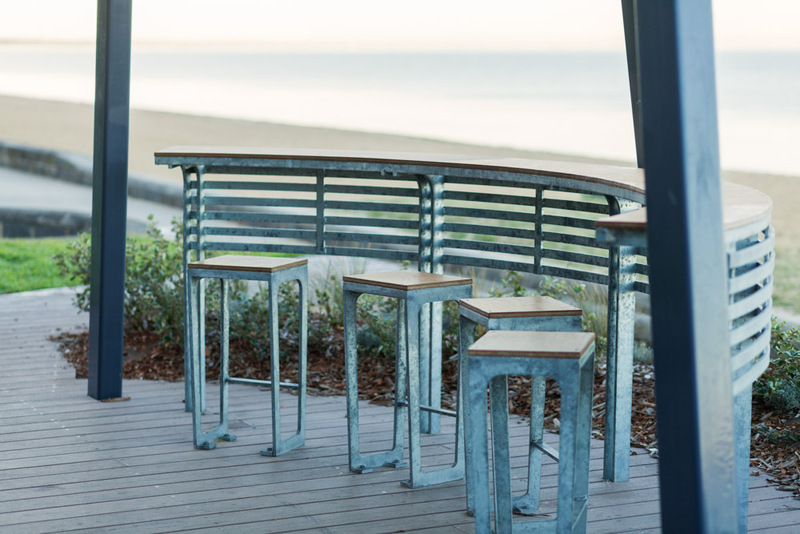 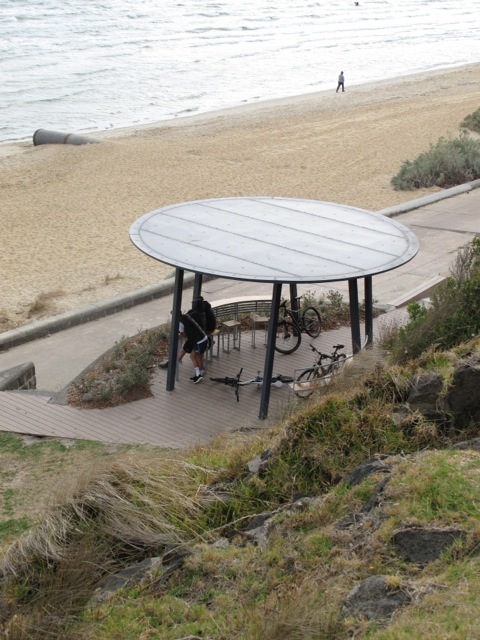 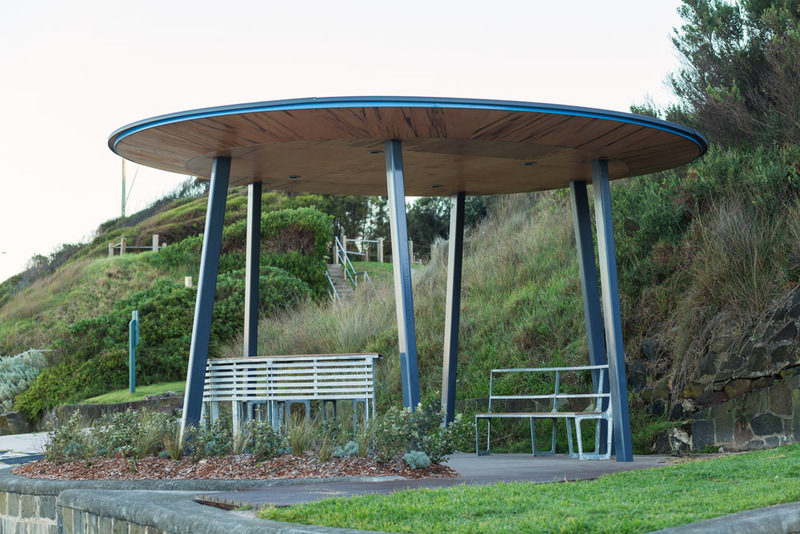 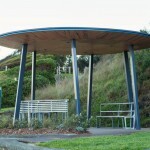 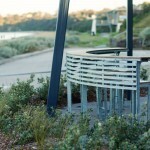 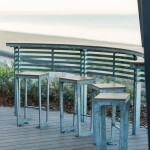 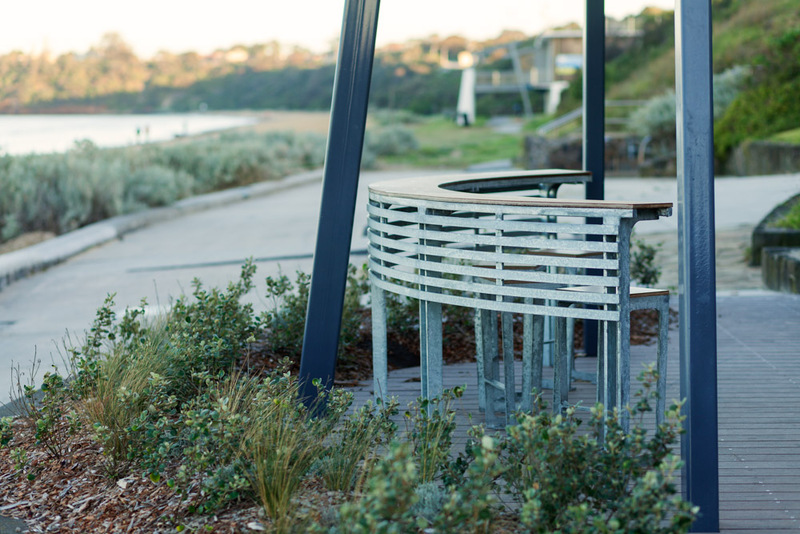 Following the demolition of a gabled roofed timber shelter on the beach, the City of Kingston commissioned Urban Initiatives to design a contemporary shelter with a form that complemented the terrace setting. 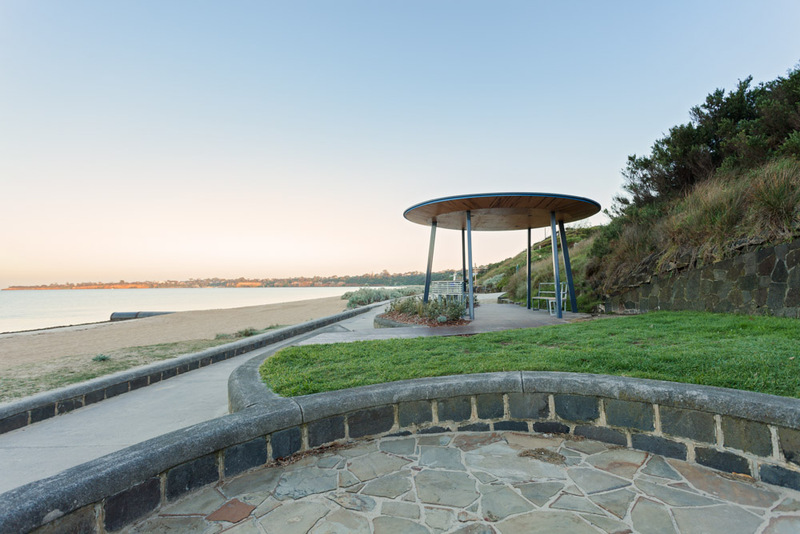 The resulting spherical structure nestles into the cliff and locals can enjoy their morning coffee gazing out to sea or read the paper, propped on the bar seating.